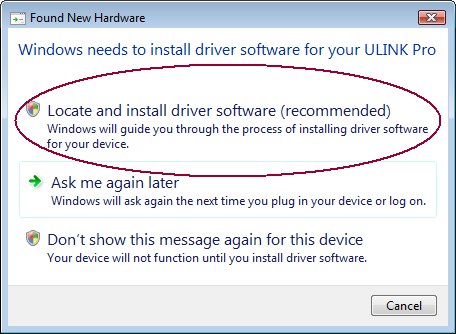 Click Locate and install driver software (recommended) on the Found New Hardware wizard. The operating system might not find the driver. 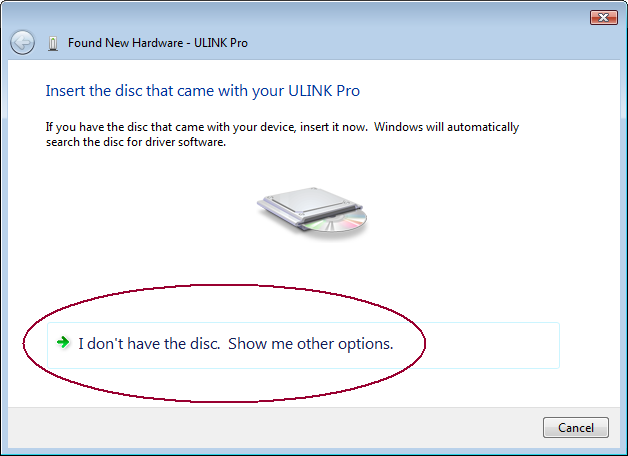 On the next screen, choose I don't have the disc. Show me other options. 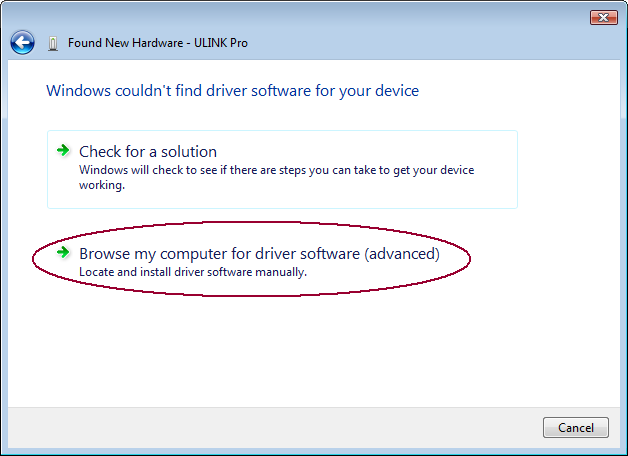 Next, choose Browse my computer for driver software (advanced). 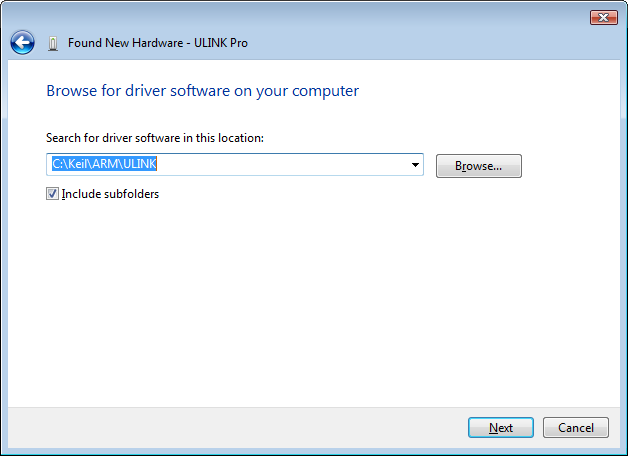 Select the ..\ARM\ULINK folder, enable Include subfolders, and click on Next. Click Install. 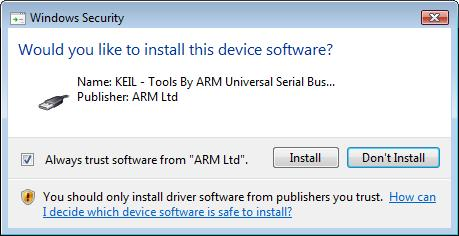 You might want to enable Always trust software from "ARM Ltd". Open the Windows Device Manager (you may use devmgmt.msc in the command prompt). 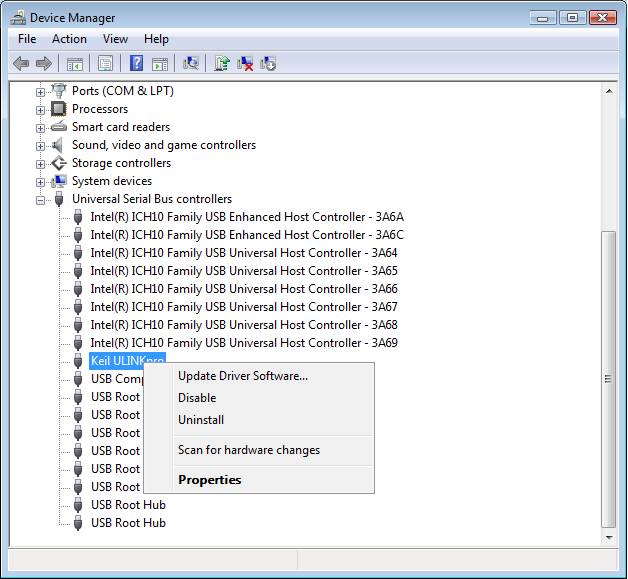 Expand Universal Serial Bus controllers. 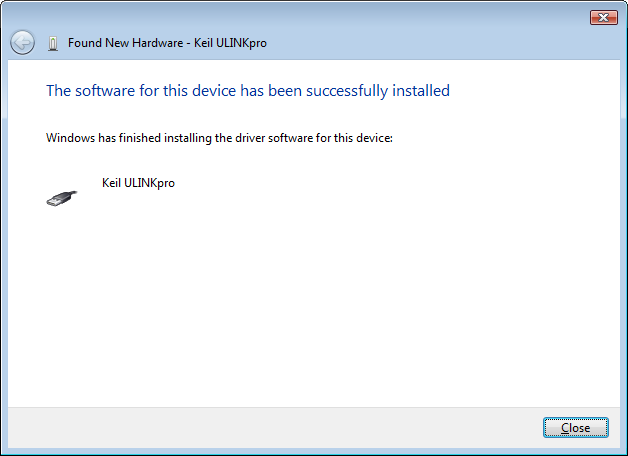 One devices should have the name Keil ULINKpro.